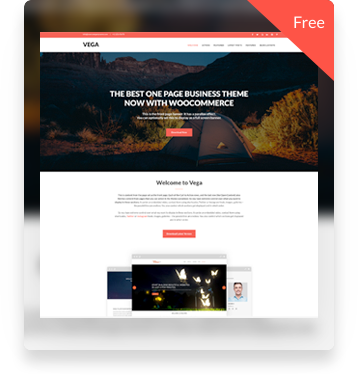 Free vs Premium WordPress Themes. Which one is right for you? Looking to start a blog this year? 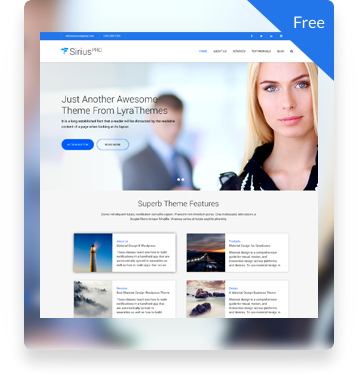 Can’t decide if you should buy a premium theme or start small with a free WordPress theme? Keep reading because this little post is perfect for you. Starting your own blog doesn’t have to be a complicated process. It’s actually very simple and that is why there is an enormous increase in new blogs every day. That’s a lot of blogs! I have a simple answer for that. It all depends on what scale you’ll blogging. Of course it doesn’t just end there. It also depends if you have certain design requirements. More on that later. Newbie bloggers or WordPress users often need support. If you are serious about blogging and often find yourself looking for some kind of support then you should definitely look into buying a premium theme. You can go with any establish theme builders. Genesis is a awesome framework by StudioPress but they are not the only big players in town. Elegant Themes, Theme Isle, My ThemeShop, ZigZag Press to name but a few. You can also consider smaller theme foundries such as Lyra Themes. The small theme shops go an extra mile to provide you with excellent after sale support because they are in the process of establishing themselves in the market and the best way to do that is by keeping your customer happy. Pay attention. This is a very important! Say you are a foodie and want to start a food blog. You wouldn’t want a “corporate theme” for that. You’ll want a theme that’s easy on the eyes and focuses on your content, the mouthwatering pictures, the ingredients and what not. 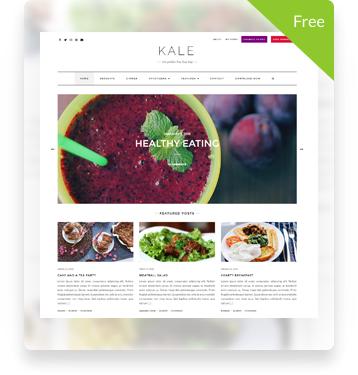 There are a number of free food blog WordPress themes that you can chose from. But if your design requirements surpass the ones available in the free themes then you should obviously look into buying a premium WordPress theme. If blogging is just going to be a hobby for you then you should start with a Free WordPress theme. You can find tons of those over at WordPress.org. The good thing about wordpress.org is that every theme goes through an official and might I add a very rigorous review process. That’s right! Every single theme that you see there have been through that process. At the time of writing this article, the average approval processing time of a free theme is touching just about 6 months. And what does that tell us? It means that there are more free themes submitted to WordPress.org than ever before but the review process is still very thorough and they are in no rush to approve new themes unless the authors conform with all the submission guidelines. You don’t have to pay $120 to buy a premium WordPress theme or spend $100 on a year long membership club. Look for paid options with money back guarantee. It means that some shops will allow you to take their premium themes for a spin (for a certain period of time of course). If you do not want to invest a lot at the beginning, you can start with an affordable theme such as Vega Pro. It costs only $35 which is almost half the cost of most other themes and comes with a solid 14 day money back guarantee. Hopefully, this article will help you decide if you should invest in a premium WordPress theme or use a free WordPress theme. There is so much more to blogging than just making top dollars. It is perhaps the single, most effective way to enter into a vast network of virtually unlimited personal and professional growth possibilities. Good luck!